Title Update 7 goes live for Rocket League today, giving players access to the much-anticipated Neo Tokyo arena. (DLC) Neo Tokyo-inspired vehicles “Esper” and “Masamune”, and Classic Cars “Aftershock” and “Marauder” will be available July 18th. 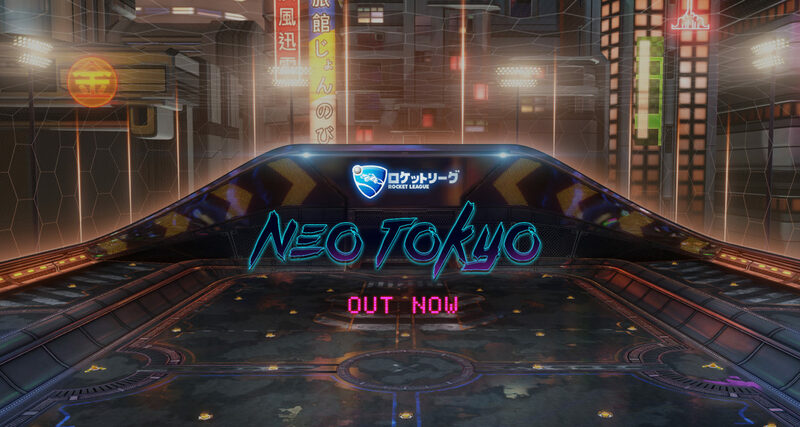 Added all-new “Neo Tokyo” Arena to all casual and competitive playlists. Added all-new “Pillars” Arena to Rocket Labs playlist. Added “Showroom” to preview premium content. Competitive Season 2 has ended and rewards will be given to participants who achieved “Prospect I” and above. Competitive Season 3 has begun! All competitive skill ratings have been reset. New “Rare” and “Very Rare” items can now be found after Online matches. A trailer for Neo Tokyo dropped last week – it looks like great fun. Rocket League is out on PC, PS4 and Xbox One. A physical collector’s edition is due on July 5.